Tom Lee is back, with another round of Bitcoin bullishness on-air CNBC’s ‘Fast Money’ segment. 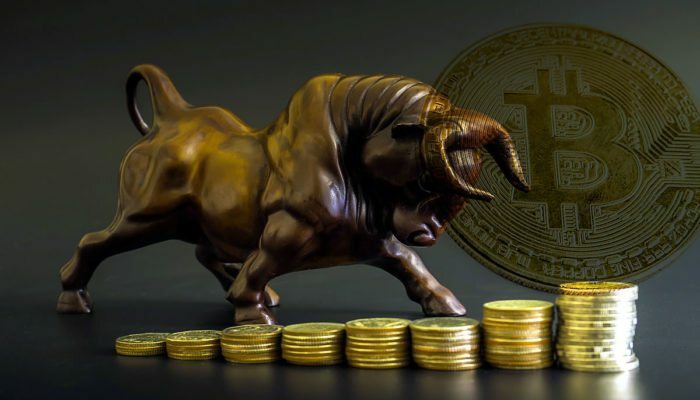 On Monday, Tom Lee, long known as a cryptocurrency bull in the space, went on CNBC to dispel bearish sentiment against Bitcoin’s viability and more importantly, its price. ‘Fast Money’ host, Melissa Lee, pointed out that bears held three things against Bitcoin. In this case, this “coincident indicator” means that it moves in correlation with Bitcoin’s price, instead of preemptively signaling the price movement of the popular cryptocurrency. Lee also assured viewers that he believes that traditional institutions are still interested in investing in the space, despite the short-term bear market which the cryptocurrency market has experienced. Another point which Bitcoin bears made was that trading volumes have plummeted since last year’s bull run. According to CoinMarketCap, trading volume is down by over 75% since the late December highs seen in the industry. According to his prior appearances on CNBC segments, Bitcoin’s price movements can be mainly attributed to 10 days throughout a whole year. If you took out those 10 days in any year, Bitcoin would be down an average of 25% in that year. With this data, he made it apparent that he believes that a Bitcoin price surge will occur within the time span of a few days. If Bitcoin somehow manages to continue its downward trend, Tom Lee made it clear that he believes that Bitcoin will hold price levels at the cost of mining a single Bitcoin. According to research from his firm, the current cost of mining a Bitcoin sits at an average of $6,000 and if history is any indication, that means Bitcoin should hold at $6,000 if worst comes to worst.